The web component of Samsung Pay has long been rumored to be coming, so it's no real surprise to see it formally announced today. The service, which sees Samsung attempting to broaden its services offerings in response to Google, Facebook, and Apple, will go live in South Korea before the end of the first quarter. Samsung Pay Mini is comparable to how Android Pay works to pay for items online. E-tailers opt in to the service, which means as long as the dedicated app is downloaded, users can easily and quickly pay for products or services without needing to fill in forms or get cards out. 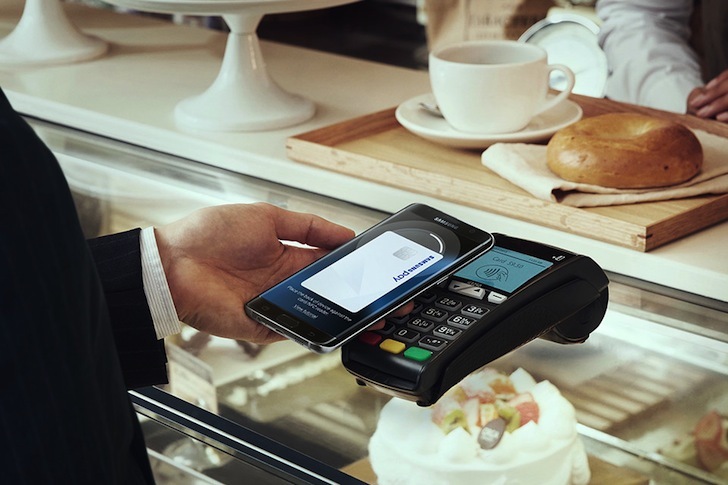 It compliments the offline Samsung Pay system, used at brick-and-mortar stores across the United States. However, Pay Mini will reportedly be available for all Android smartphones, rather than just Samsung phones. Samsung Pay itself will stay exclusive to the company's phones, as the hardware required has been patented for use in the Galaxy line. Samsung hasn't said if the new Pay Mini service will be rolled out anywhere else. It makes sense, though, for the Korean company to test it in its homeland before graduating it to a US or European release. If we see the app pop up on Google Play, we'll let you know.